This year we are launching the Wee Book Fest for young readers -a dedicated line up of children’s events at the heart of the St Andrews Literary Festival. All events will be announced on October 1st and booking opens on the 2nd! Our intentions are simple, to celebrate the magic of reading, to entertain, and perhaps even to inspire! Joining us this October we have long established bookshop favourites: Jonathan Meres, Debi Gliori, Lari Don, Chae Strathie and Gill Arbuthnott, as well as rising stars Martin Stewart, Malcolm McNeill and Alexander McCall. To add to the excitement our very own booksellers are hosting a Roald Dahl Party, serving up some of George’s Marvellous Medicine and making Dream Jars. As part of the Wee Book Fest we also invite parents and educators to spend an evening in the bookshop with specialist and publisher Mairi Kidd, as we explore the best ways to engage children for whom reading is a challenge. Intimate in scale and setting, the Wee Book Fest offers budding bibliophiles a unique opportunity to hear from authors they admire, to discover new voices and to spark their own imaginations. Entry to all events is through event book vouchers which are refundable against the author’s books at the event. Parents are welcome to attend or they can settle in to browse with some complimentary tea or coffee whilst the events are under way in the Children’s Room. 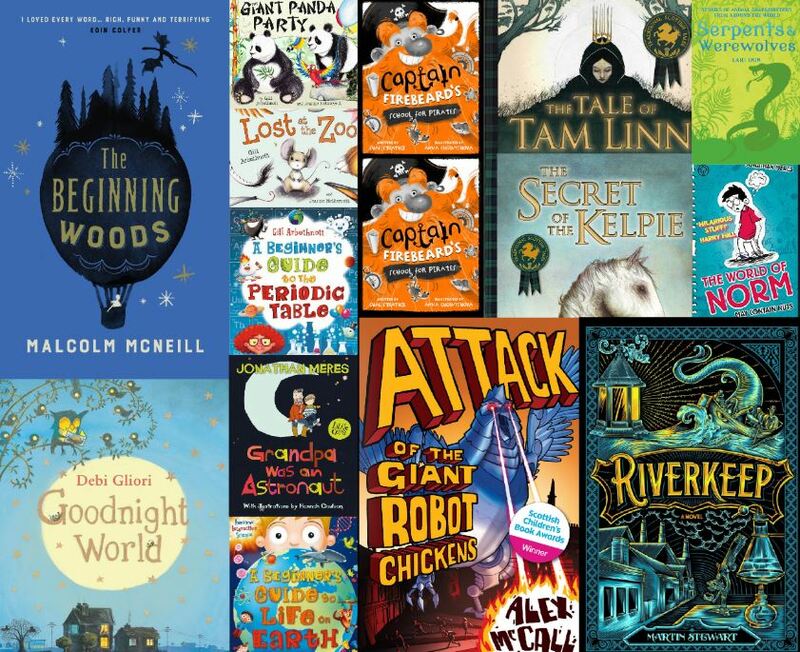 Come prepared for Robot Chickens, werewolves, witches, astronauts and (a short) history of life on earth – we can’t wait to welcome you to the Wee Book Fest!